I experienced the Internet back in 1998 for the first time, back then there were very few websites (especially Indian websites) and “design” was not something that was a priority. Soon I got fascinated with HTML and started learning it by myself… back then I had downloaded a software called the coffeecup html editor and surprisingly it is available till date. Prior to learning html, I had learnt photoshop as well and it came very handy when i started designing websites. Till this date I use photoshop to make mockups, logo etc. 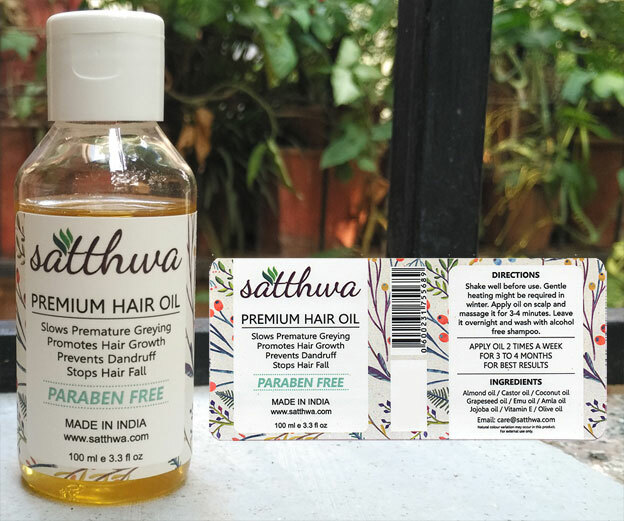 Now that you know where I am coming from, it’s no surprise that when it came to launching Satthwa, I designed the logo, but creating a label and that too a professional looking label was a little out of my league. I thought of hiring a design firm who could not just create label for me but design the packaging etc. The quotes which I got were way too much for a bootstrapped startup to afford. Hence I decided to take this as a challenge and do this on my own. I had just finished reading “The Lean Startup” and thought, why not try an incorporate it’s principles in my design strategy… the thought itself was very hard for me as i am something of a perfectionist who wants everything to look perfect at launch itself… rather than incremental improvements. At the time of the launch, I did not even know how many bottles i would be able to sell and how long it would take to sell as the was a new brand with no track record and was priced much above it’s competition. Hence the decision become all the more difficult to launch with a professional looking label which would create a brand value or go with something which is simple and can be launched without any delay. I choose to go the LEAN way and launch the product with a simple designed label and then improve on it at a later point of time. If you see from the front, you will not see much of a change as the main changes is in the background design, text almost remains the same. 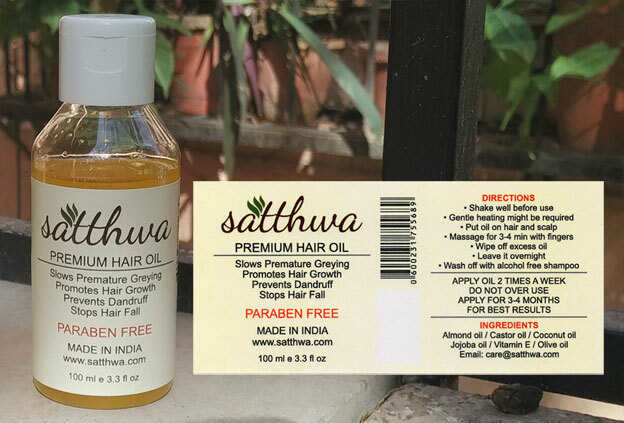 The not so noticeable difference is the quality of the paper used, lamination which is now a part of the new label and die-cutting to give it rounded edges. However even this might not be the final version as I constantly think of ways to improve it further. The take away from this article would be that no matter how much you would want things to look “perfect” when you launch, there will be always scope for improvement.. Do not let this delay the launch, keep improving it incrementally.